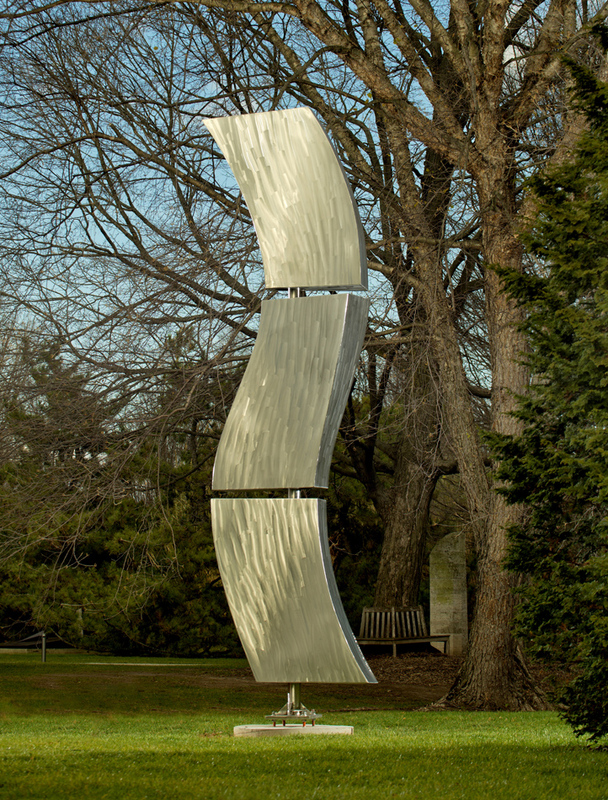 This three-element sculpture moves in the slightest breeze. 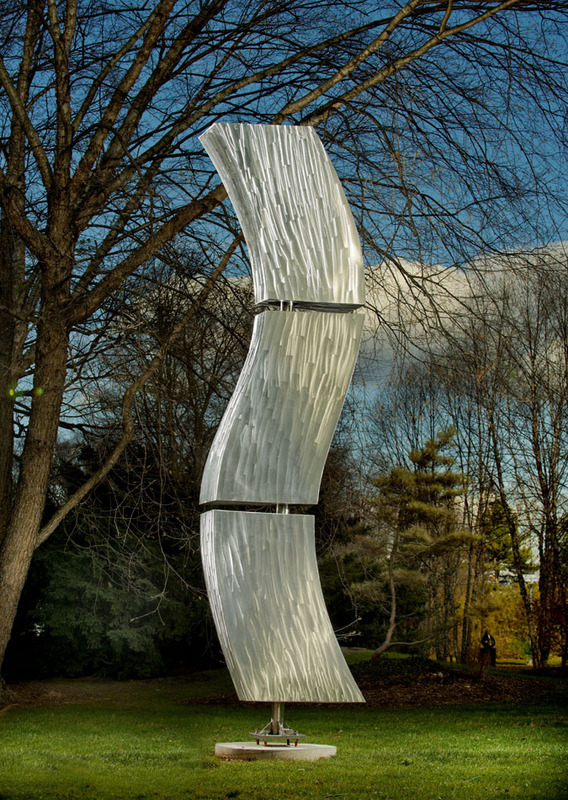 Each element moves independently and when there is no wind, the sculpture elements naturally realign. 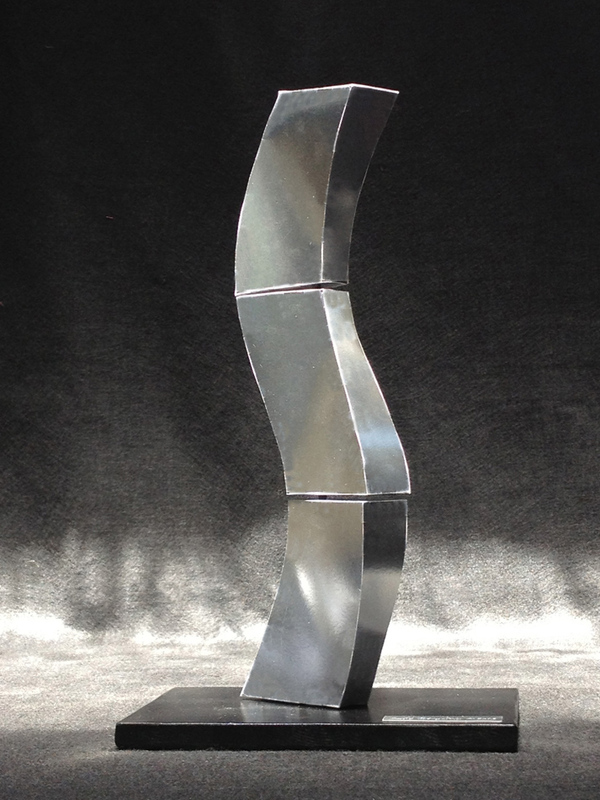 Along the sides, each element is tapered in a different direction, causing the front and back faces to be complex non-planar surfaces, which creates unique reflective patterns.